Let’s start with the unorthodox method or NON-TRADITIONAL Funding mechanism (NTFM ) to fund all or some of the voluntary AWSC National Service Program. With passage of the AWSC National Service program, at least 5 publicly viewed spread sheets, with an added column listing amounts dedicated to only funding (escrowed to) the AWSC National Service Program, would be created. Forbes 400 Richest -(Spreadsheet donors open to all of the world’s billionaires. As of 2018 , America is estimated to have 600 billionaires ). What amount or percentage of money from these well endowed sources dedicated to an escrowed AWSC National Service account would it take to launch this peaceful, productive army that would gain the admiration of the world, quell terrorist recruitment, battle climate weirding, assist refugees, raise our educational standards, increase our public policy IQ, and increase good done at home and abroad? 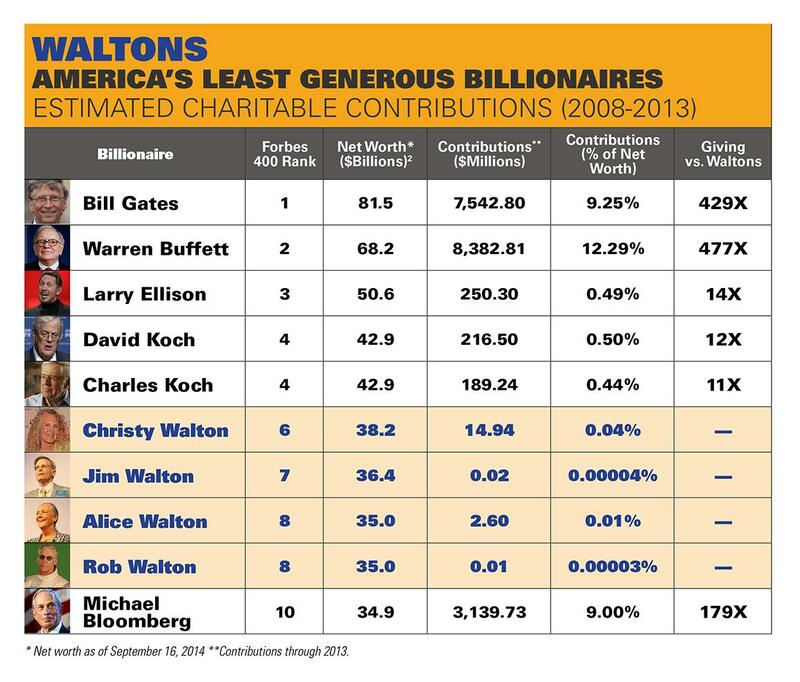 If one relied only on voluntary contributions from the Forbes 400 (and ignored the other 5+ listed above) what amount would those Forbes 400 billionaires annually invest to field 21 million Americans building stronger economies at home and abroad? Somewhere around 1-2% of just the Forbes 400’s accumulated wealth would fund this peace and security building investment. Isn’t it time to “involve” mega-rich public citizens in building an “involved generation of doers”? Some op-eds regarding the non-traditional funding mechanism to fund fielding 21 million, click here. Click or right-click above hot link to learn more. It was another record year for American wealth: The aggregate net worth of the richest 400 Americans was $2.29 trillion, up $270 billion from a year ago. 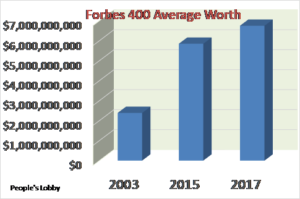 It took a minimum net worth of $1.55 billion to make The Forbes 400 in 2014, $250 million more than in 2013. If just the Forbes 400 Richest annually voluntarily donated 1.15% of their annual wealth to an AWSC escrowed account that would be spent only on AWSC National Service, no taxing mechanisms would be needed to fund 21 million AWSC volunteers serving over 27 years. This 1.15% solution is based on a per AWSC National Service volunteer INVESTMENT of $34,600. If the American World Service Corps National Service (AWSCNS) Proposal added $20,000+ to cover stipend costs, a little larger donation of 2.5% would be needed. Plus $20k stipend 2.5% $58,500,000,000 $1,579,500,000,000 Adds $20+k stipend per vol. Due to increased dangers, thanks to the growth of terrorism and hatred of Americans, the PEACE CORPS at $51,000 per vounteer would be the most expensive per volunteer program under the AWSC umbrella. Two years of community college tuition + two years of state college tuition would be covered by the two year completion bonus of $23,000. People’s Lobby’s AWSCNS proposal calls for some sharing of cost (such as housing, training, etc.) 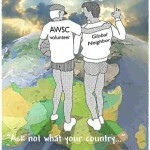 by those receving AWSC volunteers. However, in the following spreadsheet we assume all costs to see what it would take to fund national service NON-TRADITIONALLY… and potentially have funds left over. The investent in AWSC National Volunteers below includes $51,000 per volunteer + $23,000 for bonus completion for education, home downpayment, etc. Comsequently, cost per volunteer is $74,000 in the following chart. Here’s how the NON-TRADITIONAL funding mechanism covers this inflated cost (on behalf of the devil’s advocate) for all 21 million volunteers serving over a 27 year period. 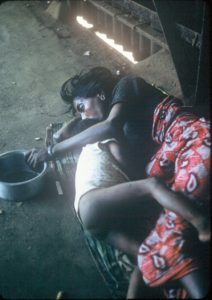 This 2.45% solution is based on a per AWSC National Service volunteer investment of $74,000 per year. Ten years later, by 2007, Gates and Buffett trumped that donation about 30 times over. By 2016 over 140 of the world’s richest have pledged under the Gates Buffet Giving Pledge to give away significant portions of their wealth. has pushed some to think and act upon income and wealth disparities. This AWSCNS proposal provides the program that allows the super-rich and the working class to earn, learn, and shrink disparities, while dramatically reducing the causes of future wars. 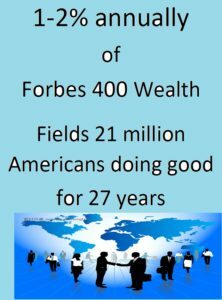 Why not use a public AWSC spreadsheet to see if the Forbes 400 would invest 1.15% – 2.5% of their wealth now and make the world a safer place? Let’s see what billionaires would voluntarily give to an AWSC National Service Escrowed Account to make the world safer for their and others’ children and grandchildren. To lower the Forbes 400 percentage of wealth donated to the escrowed AWSC account, let us add publically viewd Forbes spreadsheets for the top paid Celebs, Jocks, CEOs, as well as for non-tax paying corporations. Click Why We Need AWSC Umbrella .pdf to learn how to smartly and conscientiously we could fund 21 million peaceful American national service volunteers with little or no tax costs.